At first glance it may look like a retro motorcycle. However, in fact this is the latest in electric bicycles - and can reach speeds of 36mph without using a drop of petrol. 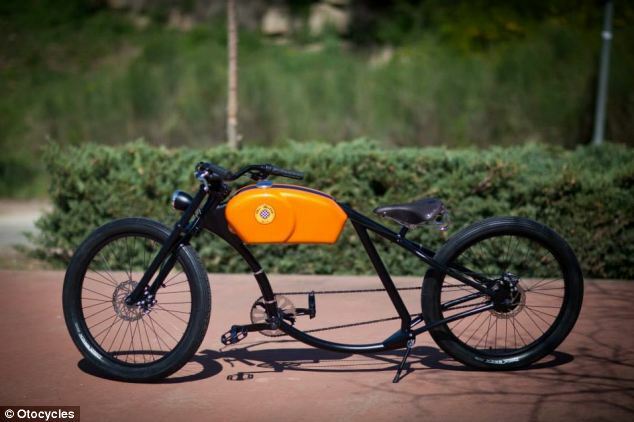 The Spanish firm behind the OroK bike says it is designed to look like a 1950s motorcycle. 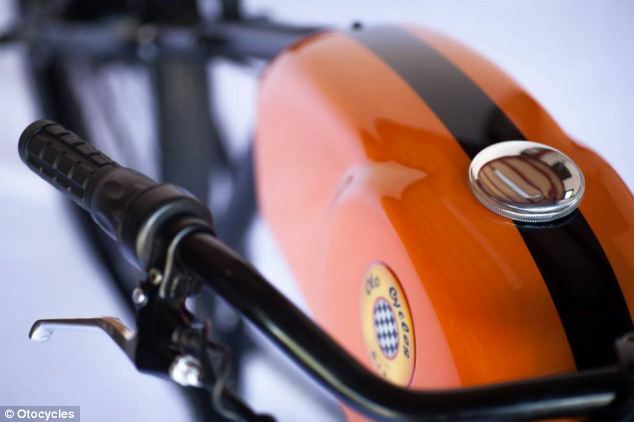 The OtoK and OtoR cycles weigh between 23 and 25kg, and everything from their colour to saddle can be customised. Otocycles were conceived by a singular Barcelona family that has been producing bicycles for 15 years. There are two bikes in the range. The OtoK and OtoR cycles weigh between 23 and 25kg. Depending on the terrain, on a full charge they can run for around 24 to 40 miles (40 to 65km). They are each custom built, and the firm boasts 'no two are alike'. The seat and tires can also be chosen to suit, and include classic British leather Brooks versions. Both bikes are made from steel and are fitted with saddle seats. They also feature LCD displays with cycle computers and 250W electric motors. 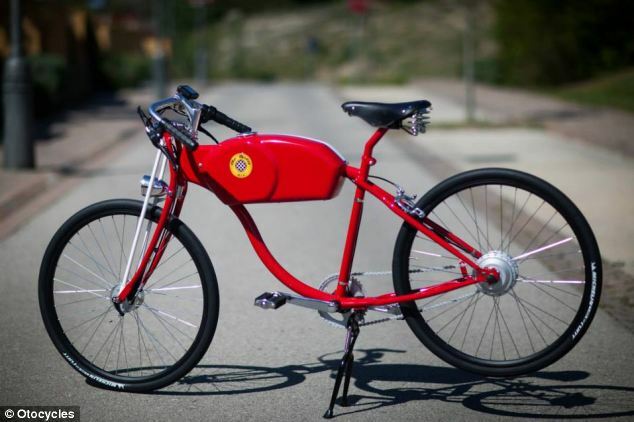 They also have a chain and pedals like a normal bike, and pedalling can be used to charge the motor. The OtoR can also be upgraded with more powerful motors - 500W for speeds up to 26mph, 750W for speeds up to 34mph.